IRELAND’S ONLY HONOURS degree course in brewing and distilling has received an international seal of approval. The Bachelor of Science degree programme in Brewing and Distilling at IT Carlow has become one of only four in the world to achieve recognition by the Institute of Brewing and Distilling (IBD) – the world’s leading professional body for the industry. The organisation spent the best part of a year assessing the course, which was launched in 2016, before announcing its endorsement. Dr David Ryan, programme director for the new course, says the news has provided a major boost for the IT as it prepares to welcome its first intake of students. Speaking to TheJournal.ie, Ryan says 18 students will soon start the course – a mix of mature students and people who’ve just completed the Leaving Cert. People who study general science will also have the option to transfer to the course in second year. Ryan says the four-year course will cover core scientific principles and concepts, and “introduce [students] to the industry and get them up and running as brewers and distillers in their own right”. Students will learn about the brewing and distilling process, engineering, quality issues and new product development, among other subjects. Ryan says students could well end up working in a startup – or creating their own – so they “need to be clued in to new developments”. Students will do a placement with a company in their third year. Walsh Whiskey Distillery, which is located in Co Carlow, has announced it will award a €1,000 bursary prize to the student who achieves the highest grades at the end of their first year. Ryan says plans for the course have been going on behind the scenes for the last five or six years, during which time there has been a “renaissance” in the brewing and distillery industry in Ireland. He says the recent revival isn’t just Ireland-specific, however. “It’s a global phenomenon, the states have been going this way for a while. You’re not just seeing the big brand names anymore, you’re seeing a new menu of beers. Ryan says the renewed interest in one of the oldest industries in the world “has been brewing for quite a while now, pardon the pun” and gives Ireland an opportunity to “reclaim its global status, in terms of distilleries in particular”. Read: Could Irish gin be the new Irish whiskey? 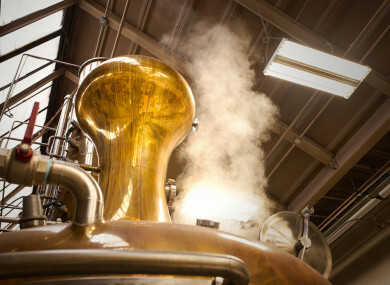 Email “New course hoping to make most of brewing and distillery 'renaissance' ”. Feedback on “New course hoping to make most of brewing and distillery 'renaissance' ”.